This class will cover many of the tools in Adobe Photoshop Elements. Basic concepts like cropping, resizing and adding different effects to your image will be covered, as well as some tools to manipulate and retouch your photos. Prerequisites: Basic mouse and keyboard skills. Every Monday in April at the Hudson Library & Historical Society, a member of the Center for Health, Happiness, and Chan, a local non-religious, non-profit organization, will lead a morning meditation class. Learn how to pay more attention to your existence in the present moment and use the breath as the anchor point to calm and balance the mind. Former Deputy Director of the FBI, Andrew McCabe, will discuss his book, The Threat: How the FBI Protects America in the Age of Terror and Trump. The book offers a dramatic and candid account of his own career along with an impassioned defense of the FBI's agents and the institution's integrity and independence in protecting America and upholding our Constitution. McCabe recounts in compelling detail the time between Donald Trump's November 2016 election and McCabe's firing, during which time the FBI's mission shifted to a new goal: preventing terrorist attacks on Americans. While under Director Robert Mueller, McCabe led the investigations of major attacks on American soil, including the Boston Marathon bombing, a plot to bomb the New York subways, and several narrowly averted bombings of aircraft. And under James Comey, he was deeply involved in the controversial investigations of the Benghazi attack, the Clinton Foundation's activities, and Hillary Clinton's use of a private email server while she served as secretary of state. *Please note: The Andrew McCabe program is currently full. Spots are still available for the live simulcast in the Teen Room. All are welcome to attend the author meet & greet / book signing in the library rotunda following the program. 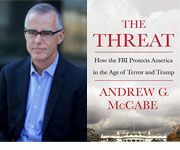 Former Deputy Director of the FBI, Andrew McCabe, will discuss his book, The Threat: How the FBI Protects America in the Age of Terror and Trump. The book offers a dramatic and candid account of his own career along with an impassioned defense of the FBI's agents and the institution's integrity and independence in protecting America and upholding our Constitution. Wednesday, May. 1, 10 a.m. The library subscribes to more than 90 specialized databases and most of them are accessible from home. This class will cover five databases including Business Insights: Essential, Business Source Premiere, First Research, Hoover’s and Reference USA. These five are a sampling of business-oriented sources that provide access to many full-text articles from trade and academic journals, magazines, newspapers and SWOT reports. Wednesday, May. 1, 2 p.m.
Are you ready to take your iPad skills to the next level? 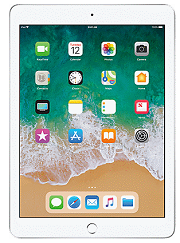 Learn about Apple's newest operating system iOS 12, as well as how to extend your iPad’s battery life, organize your apps, better secure your iPad and use the camera. Prerequisites: Attendees must have taken iPad for Beginners or be comfortable with iPad basics. Wednesday, May. 1, 7 p.m. The book club meets at 7 p.m. on the first Wednesday of each month, in the Eldredge Room on the second floor of the library, unless otherwise noted. No registration is required. Even if you haven’t finished the book, you’re welcome to listen and participate. New members are always welcome. Copies of the next month’s book are available at the Circulation Desk. 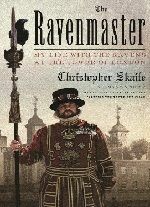 Audio copies and large print also may be available. Call 330-653-6658, ext. 1010, for more information. Thursday, May. 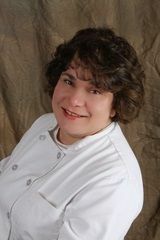 2, 6:30 P.M.
Join Anna Weisend as she demonstrates making Italian buttercream then filling and icing a cake . Sunday, May. 5, 2 p.m.
Wednesday, May. 8, 10 a.m. The library continues a series of artist biographical lectures when art historian Felicia Zavarella Stadelman discusses the American painter, illustrator and sculptor, Frederick Remington. Remington specialized in depictions of the Old American West. Attendees will be given an informative postcard that includes facts about the artist’s life. Friday, May. 10, 10 a.m.
Design and paint three personalized salvaged wood signs to add to your home décor. Local artist Kimmy Henderson will guide you in making your very own masterpieces-you choose the design, words and colors. No painting skills needed, only a willingness to be free and have fun. Space is limited and registration is required for this program. A $10 nonrefundable materials fee is due at registration at the second floor Reference desk. Monday, May. 13, 7 p.m.
Are you interested in learning how to break free from your cable or satellite provider? The Hudson Library & Historical Society will present an introductory class on how to cut the cord on Monday, May 13 at 7 p.m. 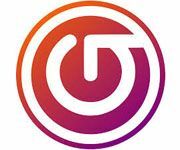 Learn tips and tricks to access broadcast television, choose a streaming device, enjoy on-demand and live television, lower your Internet costs and maximize your savings. Discover the vast amount of information available through the Library’s premium database collection for your genealogy research needs. This class will introduce you to non-traditional genealogy databases to help with your quest in researching your family history. Prerequisites: Strong mouse and keyboard skills. Thursday, May. 16, 6:30 p.m. 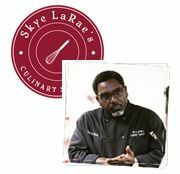 Chef Eric Wells, owner of Skye LaRae’s Culinary Services, prepares Low Country Cuisine. Low Country cooking is a Southern, regional cuisine with strong parallels to New Orleans and Cajun cooking. Wells is a participant in the Michael Symon’s Autism Speaks benefit. Sunday, May. 19, 2 p.m.